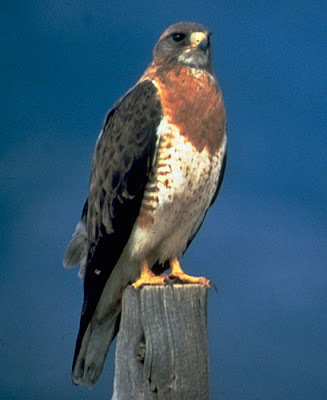 Swainson's Hawks are nesting just north of the Avimor Entry Towers. Very cool! There are three or four Red-Tail Hawk nests with growing chicks up in the draws. 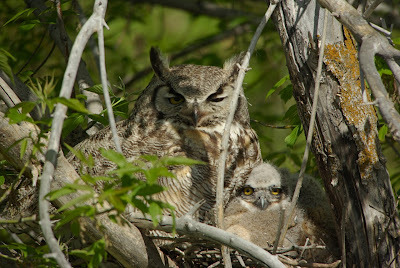 One of the Great Horned Owl chicks is missing. Shon says he saw it jumping from branch to branch recently, so it could still be around and just hidden. I hope it didn't join the great circle of life already. The other chick still seems to prefer the comfort of the nest. 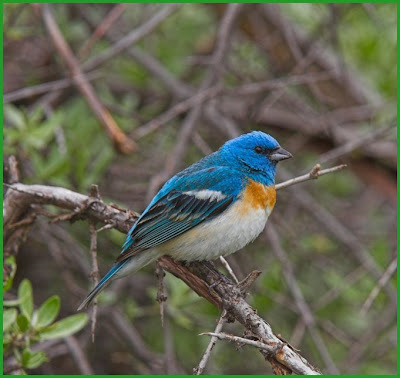 The Lazuli Buntings seem to have moved on, or at least up into the draws to nest. 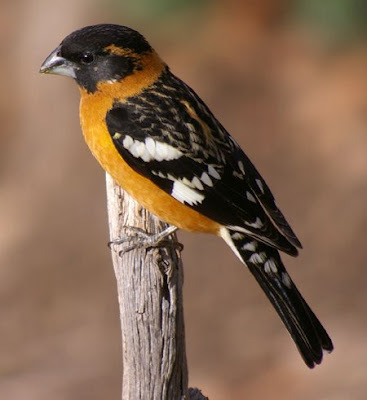 Black-headed Grosbeaks and Bullock's Orioles are still abundant. Bring a picnic and come and join us! 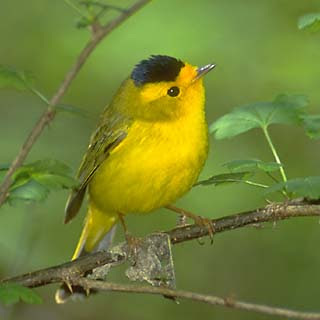 This morning we had lots of Warblers at Avimor including Yellow, Yellow-rumped, Yellow-breasted Chat, Orange-crowned, Nashville, and the new one for the Avimor life list, Wilson's. 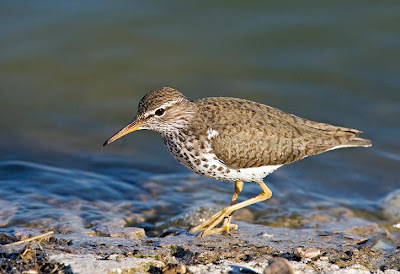 What a glorious day for birding! 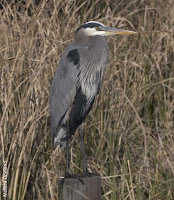 We saw 33 species today and lots of beautiful and colorful birds. 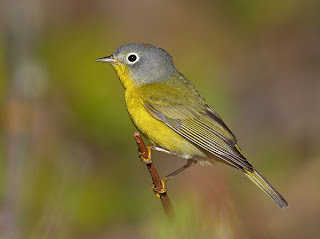 I had not seen one in Idaho previously. I took a stroll along the greenbelt and Foothills Heritage Park this morning. 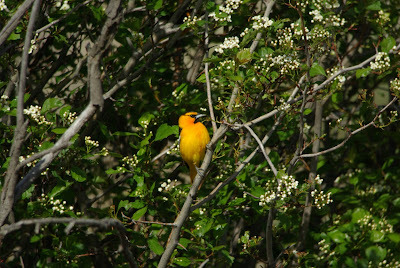 The birds of color were in incredible abundance. Two dozen Lazuli Buntings deocrating a tree. Several American Goldfinch in their bright lemon yellow plummage. 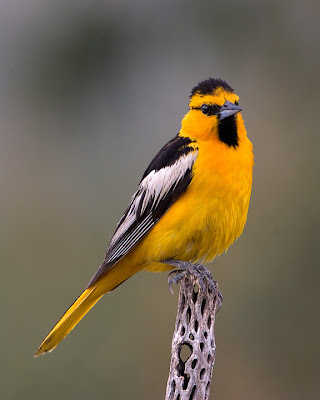 A handful of Yellow Warblers singing from the tree tops, and solitary orange-flamed Bullock's Oriole. I found a Black-billed Magpie nest where the parents were feeding Magpie chicks. Brown Headed Cowbirds were courting. Now that is how to start a wonderful day at Avimor! 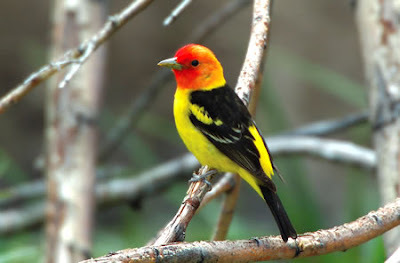 The next beautiful bird to be looking out for is the Western Tanager. 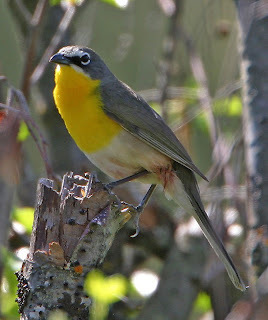 Last year we exprienced an "irruption" of Tanagers in this area. An "irruption" is a sudden upsurge in numbers. I took a lunchtime hike with Shon and Ian today up the draw going east created by Spring Valley Creek. We saw all kinds of great wildflowers and butterflies. 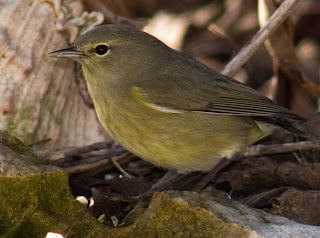 The birding was pretty great, especially for being a mid-day excursion. I think Shon just found a great birding hotspot at Avimor. We found a Red-tailed Hawk on a nest. We found three young Great Horned Owls that are right at that stage where they are losing their baby-fuzz and are growing flight feathers. Two of them were snuggled up close together. The Momma-owl was also there nearby. 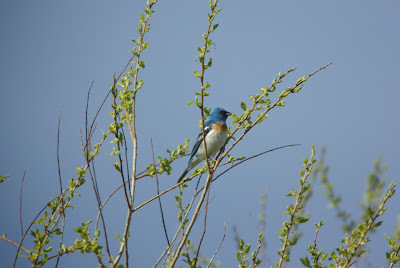 In that same area we saw the first Lazuli Bunting of the year, along with an Orange-crowned Warbler. 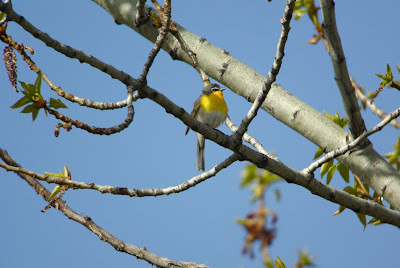 I heard at least three Yellow Warblers, but did not see them. 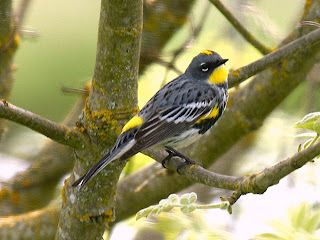 There were several Yellow-rumped Warblers flitting about. I heard a Black-capped Chickadee. 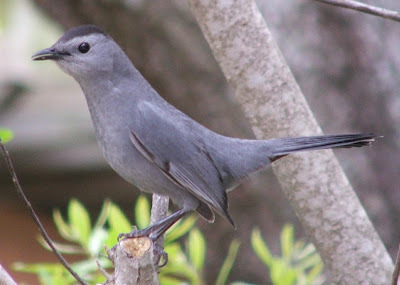 We saw White-crowned Sparrow, Song Sparrow, Northern Flicker, American Robin, European Starling, Swallows that I couldn't identify, Ruby-crowned Kinglet, Willow Flycatcher, Black-billed Magpie, Meadow Lark, and lots of California Quail. I expect to see Bullock's Oriole any day up here at Avimor. 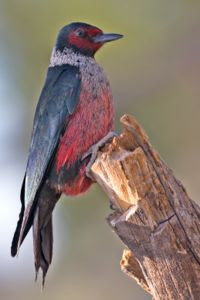 I saw one on Sunday at Shadow Valley Golf Course on my way home from church, so they are getting closer.